Easy MTD VAT - Knowledgebase Article - What is MTD Bridging Software? MTD bridging software is a Making Tax Digital (MTD) compliant software application such as Easy MTD VAT. It enables VAT figures (VAT returns) to be transmitted digitally to HMRC and it displays obligations, liabilities and payments. All VAT registered businesses with a taxable turnover of £85,000 or more must comply with Making Tax Digital. Those who use spreadsheets to keep business records, or those who use an accounting package that is not MTD compliant, will need to use MTD bridging software. Easy MTD VAT is one of the simplest and most cost effective examples of MTD bridging software available. It has a tiny footprint, an intuitive interface and it charges users a small fee for submitting a VAT return. It is also 100% compliant with Making Tax Digital and has been fully tested and endorsed by HMRC. 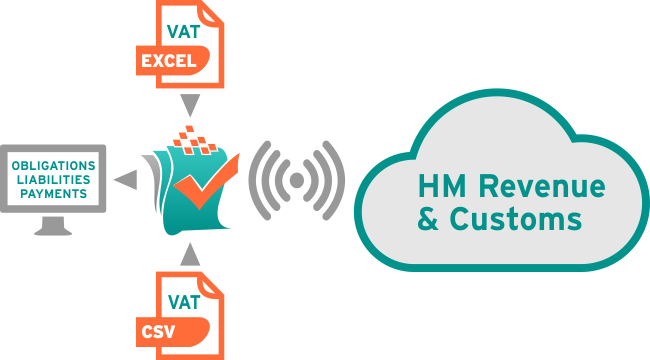 Download and try Easy MTD VAT and buy tokens so you can start submitting VAT returns digitally to HMRC today.